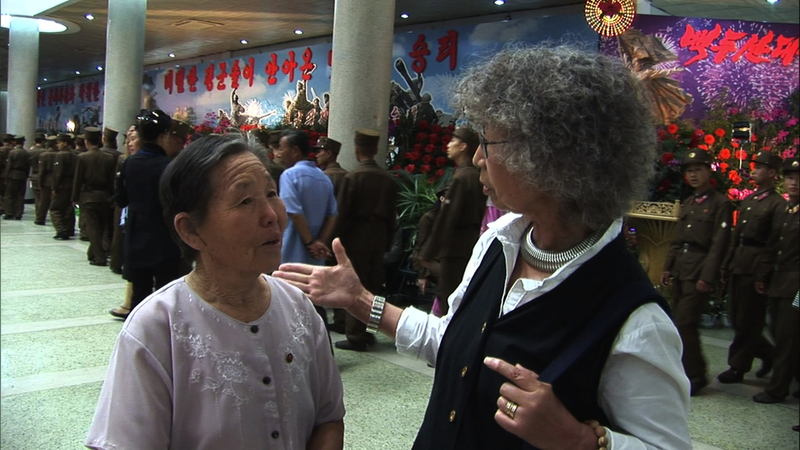 Director Dai Sil Kim-Gibson is the first Korean American filmmaker to be given official permission by the North Korean government to film inside its borders. The result is unprecedented, at times startling, for hers is an up close look of the hurts and desires, beauty and contradiction, pride and aspirations of the long held demonized nation. 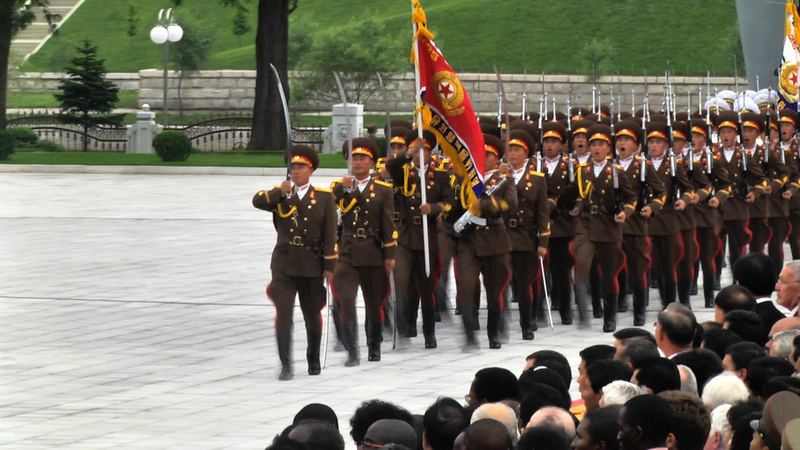 She seamlessly weaves her own personal story as a native born North Korean, with the fractious history of the North South division and pinpoints the roots of North Korean’s hatred of the United States. A mix of interviews epic images and graceful musings, People Are the Sky refers to the ordinary people she meets along the way and the ultimate meaning of her pilgrimage. Dai Sil Kim-Gibson is a North-Korea-born American, and an independent filmmaker/writer known for championing the compelling but neglected issues of human rights. Her film credits include America Becoming, Sa-I-Gu, A Forgotten People: the Sakhalin Koreans, Olivia’s Story, Silence Broken: Korean Comfort Women, Wet Sand, Motherland (Cuba Korea USA). Her films were critically acclaimed here and abroad. “A film translating mute statistics into human terms,” by Business Week Magazine for Sa-I-Gu (April 29), "a classic work of oral history,” by the Washington City Paper for A Forgotten People, “a wrenching and formally inventive film," by the Village Voice, "A hauntingly brilliant film,” by Asian Week, Los Angeles for Silence Broken. All of her films garnered many awards and were screened at numerous festivals worldwide, in addition to national broadcast on PBS, on the Sundance Channel in the United States. Among many awards, she received a Rockefeller Fellowship for Silence Broken and a production grant from the MacArthur Foundation for Sa-I-Gu. An author of numerous articles, Silence Broken: Korean Comfort Women is her first book (The Philadelphia Inquirer called it "unforgettable") and her second book is Looking for Don: A Meditation. She edited and compiled a memoir by her late husband, Donald D. Gibson, Iowa Sky, A Memoir and her own memoir, Korean Sky is now available at Amazon.com . A former professor of Religion at Mount Holyoke College with a Ph.D in Religion and a federal and state employee, filmmaking is her third career. Chi-hui Yang is Program Officer for Ford Foundation’s JustFilms initiative, a global effort that supports emerging and established filmmakers whose work addresses the most urgent social issues of our time. JustFilms also supports key organizations that explore and sustain the art of contemporary-issue, nonfiction storytelling. Yang has worked extensively as a film curator and educator and is the president of the board of trustees of the Flaherty Film Seminar. He is the former co-curator of MoMA’s Documentary Fortnight and director of the San Francisco International Asian American Film Festival.